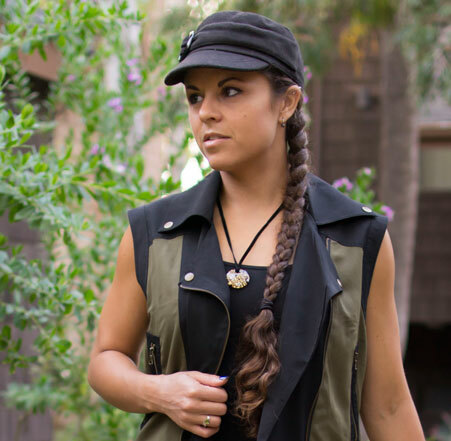 Around the time the weather gets a bit colder, my shopping attention starts to shift a little bit away from jeans and onto outerwear! Hoodies and jackets are so much fun to shop for around this time, even if I unfortunately don’t get to use them as much as I’d like here in California. It’s been pretty darn cold at night here though, and I’ve already grabbed a supersoft, faux suede and shearling jacket from American Eagle (one of my favorite places to shop). I also love jackets with faux fur trim, but I’m never all that partial to full shaggy faux fur jackets. The only time I really wear a lot of faux fur is at music festivals when it gets cold at night, like those furry hoods you’ve probably seen floating around the internet over the last few years. 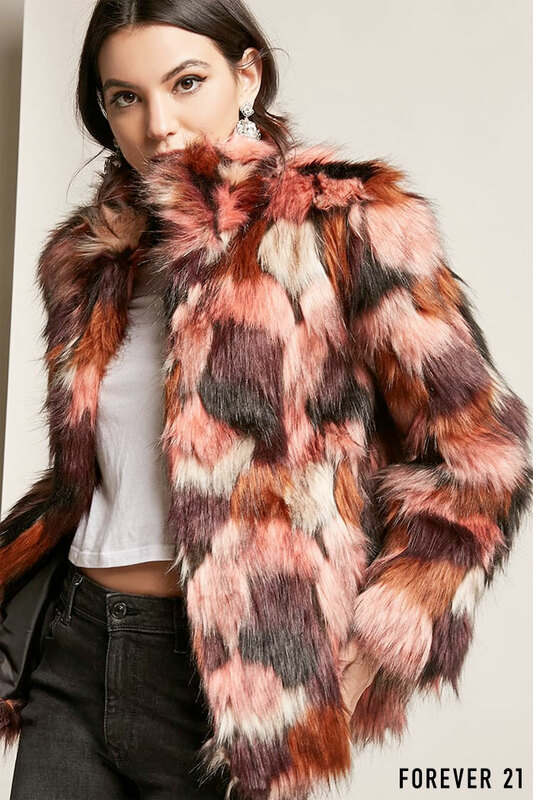 But, because of that party spirit, I have thought of grabbing myself a fuzzy jacket to bridge the line between festival and real life, much like a lot of the apparel from independent designers I find at festivals, and on Etsy. I’ve had a lot of favorite online shopping destinations throughout the years, but lately I’ve made a conscious effort to shop primarily through independent Etsy artists or sustainable brands I discover through my digging around for quality posts to share with all of you. I don’t really frequent many of the popular powerhouses, like Tobi, ASOS, H&M or Zara (I definitely stay away from fast fashion). 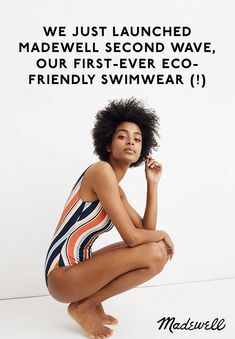 However, it’s been nice to hear lately that H&M has actually been working towards more sustainable practices, and Zara released a sustainable collection last year. 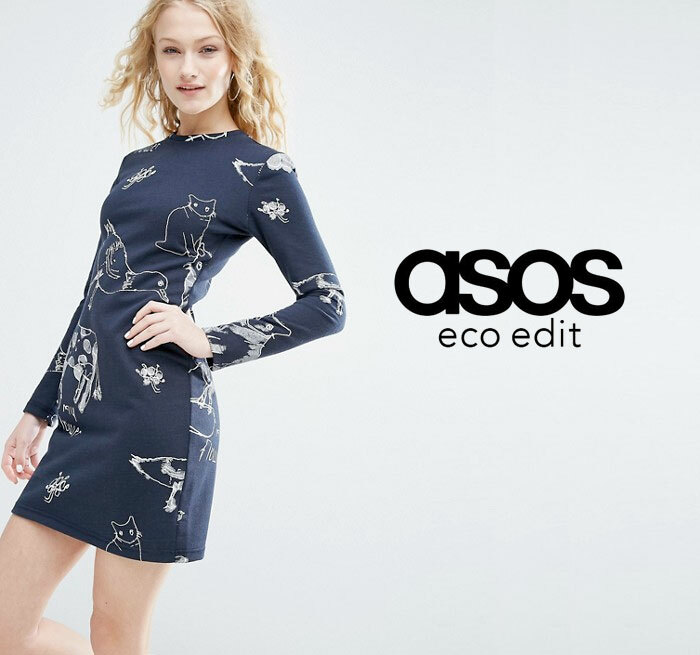 Just recently, while researching the next cool item to write about, I realized that all this time, ASOS has had their own eco-friendly collection as well, along with a fair-trade line. How on earth did I miss this? 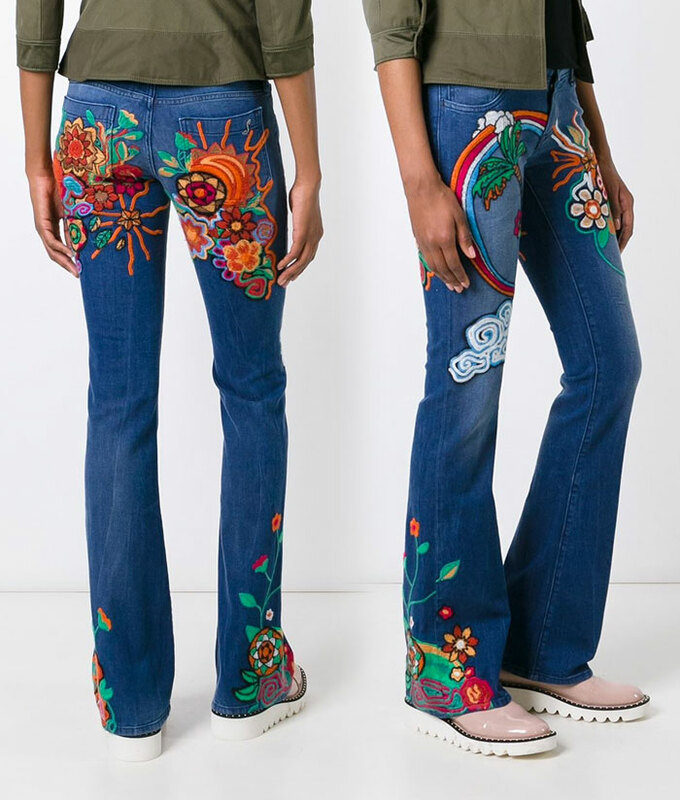 The artistry within the denim community is one aspect that keeps me hooked. 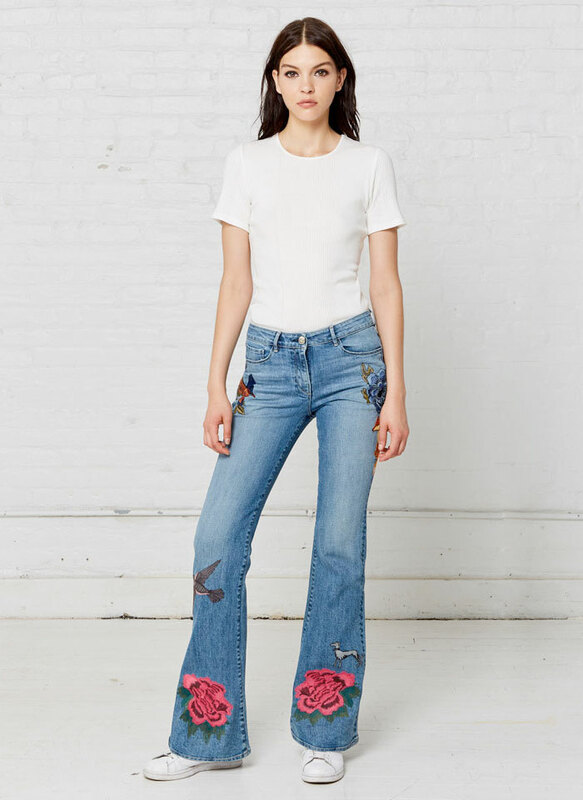 When ripped jeans first got popular over ten years ago, I started by buying my own pair and ripping them myself, then added rhinestones and patches all over them, based on a pair I had seen at either Abercrombie or Hollister (same thing basically…but can’t remember specifically). Way before that, in high school, I enjoyed putting embroidered patches all over my backpack, but hadn’t ever considered putting them on clothing. 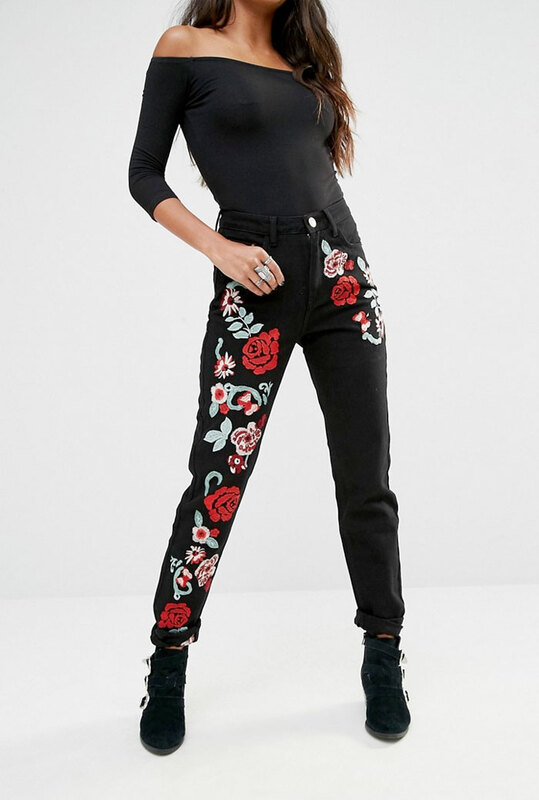 Jeans with cute embroidery have been floating around the market more than before now, and it’s so fun seeing all of the different designs available! 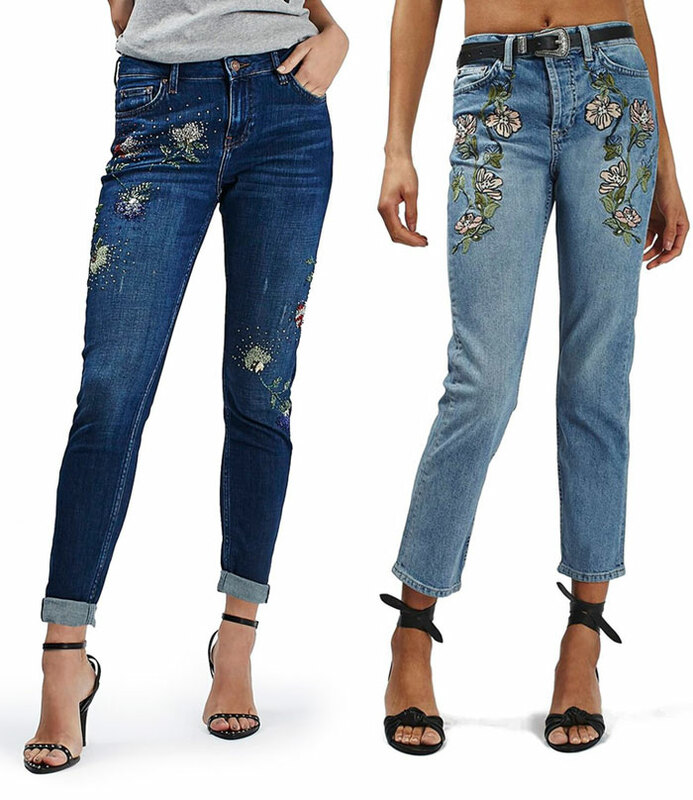 It further pushes the notion that denim is like a canvas, ready for a designer (or designer at heart) to have at it and express their creativity, just like with painted jeans. 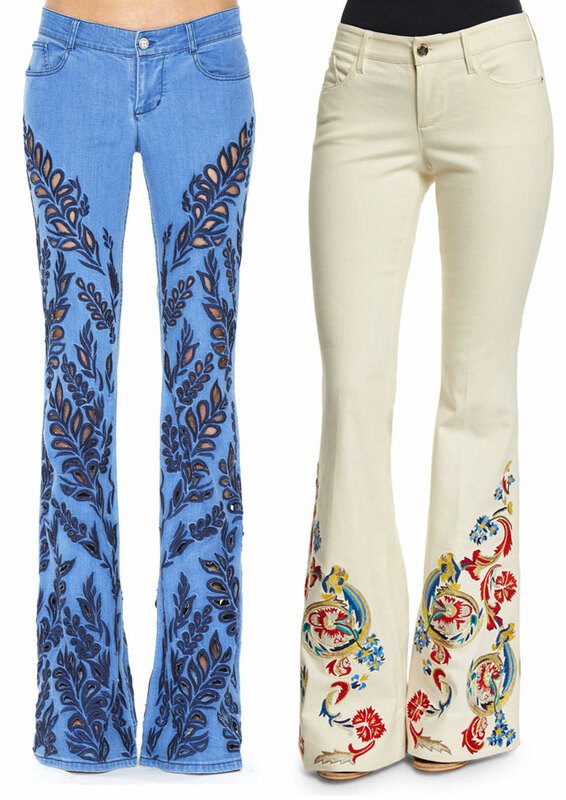 A lot of them bring out a cool flower child-ish ’70s vibe which obviously fits me pretty well if you’ve been reading my blog long enough! 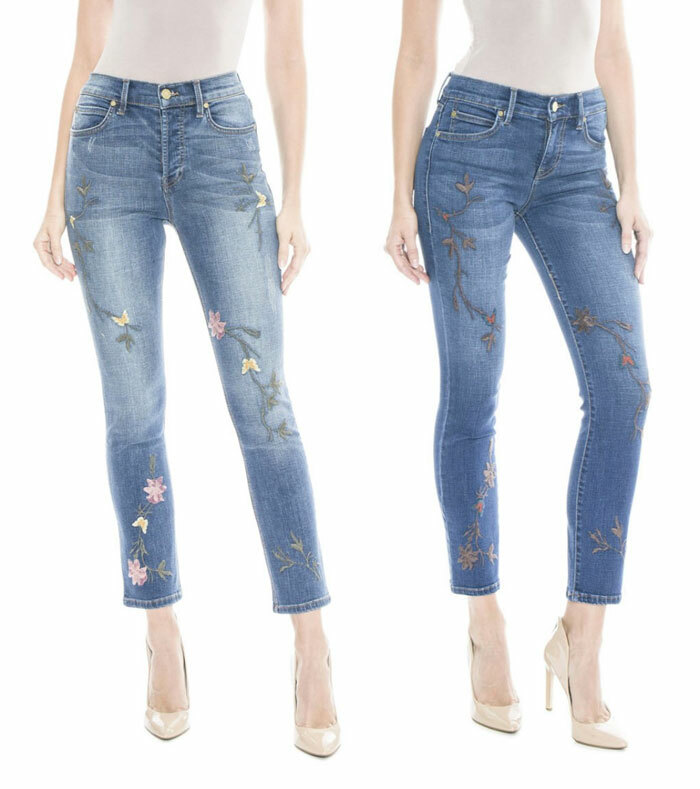 Fall is almost here already, and I think patched and embroidered jeans would be perfect to match the falling leaves and changing colors of the season. 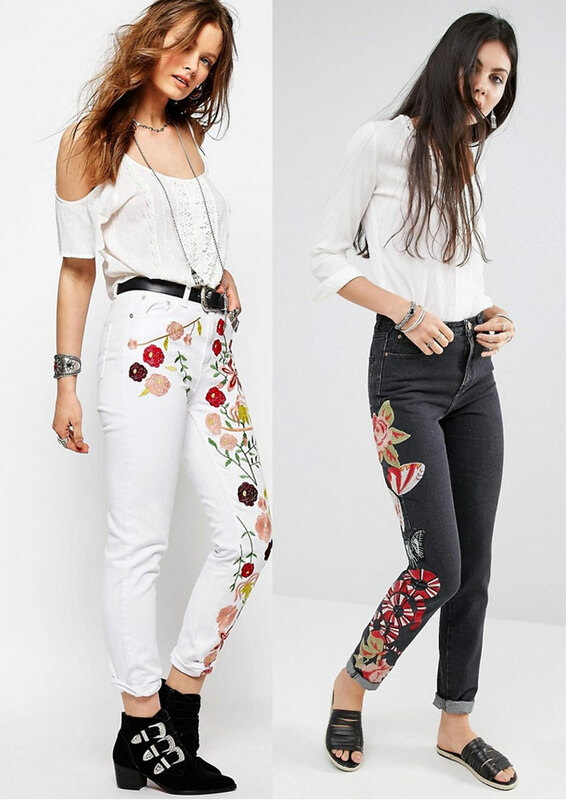 Springtime is also another season that I feel these embroidered jeans fit well within, but that’s a subject for a much later post! Here are some of the best I could find out on the market right now, starting with two beautiful styles that are part of Level 99’s Fall/Winter 2016 lookbook: the Allie Mid Rise in High Street (above) and Level 99 Amber Slouchy in Point Dume (below). Which is your favorite? Don’t get me wrong, I love me a LBD…and honestly, in my opinion, red is often a tough color to pull off. It is at least for me…I have almost zero red items in my closet. I think I only have one red tank, one or two red tees, and a pair of red jeans. However, last year I was given a gift certificate for Banana Republic for my birthday, which was JUST after I began coveting a pretty, vintage-looking red dress with cap sleeves that was displayed delicately in the front window of the store. So, it wasn’t tough to decide what I’d use my gift for, even though I rarely ever go to Banana Republic. I love the simplicity and classic-ness of the brand, I guess I’m just not quite grown up at heart enough for it yet. However, I absolutely love this dress and love any nice occasion to wear it. Here I am sporting it in Vegas this last weekend at The Orleans!